Rochester’s festival season kicks off in the best way imaginable. 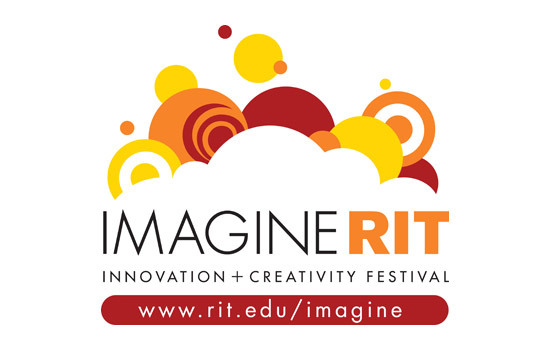 Mark your calendars for Saturday, May 7, and the 2016 Imagine RIT: Innovation and Creativity Festival. The nationally acclaimed festival, now in its ninth year, returns with more than 400 examples of innovation and creativity from RIT students, faculty and staff, all showcased through interactive exhibitions, demonstrations and live performances. And for a seventh consecutive year, Time Warner Cable has signed on as the Premier sponsor of the event. Dr. Destler’s Access and Inclusion Technology Challenge: The RIT president’s annual challenge covers new ground this year, asking students to showcase technologies that will make it easier for those with physical or cognitive challenges to shop or travel. Entries will be judged on innovation, commercial feasibility and effectiveness or technical viability. The competition runs from 9 to 10 a.m. in Clark Gymnasium. Winners could receive $1,000 or a banjo from the prized collection of RIT President Bill Destler. A presentation by the RIT Hyperloop team of its SpaceX’s Hyperloop Pod Competition Design. The Hyperloop system was designed by Elon Musk to replace high speed rail by propelling levitating capsules through near-vacuum tubes. Visitors can interact with the team’s CAD models and learn about the potential future of the Hyperloop. A host of new video games, with titles such as Hack, Slash & Backstab, WordWells and Adventure Guild. More than 30,000 people are expected to visit the RIT campus for the event, which runs from 10 a.m. to 5 p.m. A variety of food, entertainment and children’s activities combine to make the event a fun, family-friendly environment. In addition to Time Warner Cable as Premier Sponsor of Imagine RIT, Democrat and Chronicle Media Group is the Gold Sponsor and Silver Sponsors are Coca Cola, Dinosaur Bar-B-Que and Rochester Regional Health. Festival admission is free, and parking is available on the RIT campus. There is also free shuttle service offered from Monroe Community College. Visitors can go to the Imagine RIT Plan Your Day website to view exhibits.